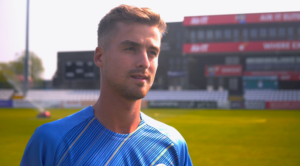 Head of Cricket Dave Houghton discusses Derbyshire’s 2019 fixtures, including a marquee game against Australia and back-to-back Vitality Blast derbies. 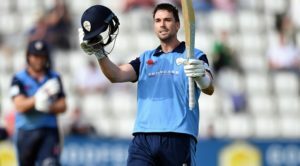 The County Ground will once again play host to a busy summer of cricket in 2019, with three international fixtures as well as up to 39 days of home domestic Derbyshire cricket. Australia return to Derby for the first time since 2015 during the height of the Ashes series for the three-day Aston Lark Tourist Fixture, starting on Thursday 29 August – and Houghton, who insists he will field a strong side, wants to see his how his players shape up against international opposition. Attention turns to the Vitality Blast in July and August and with Derbyshire’s first two home matches taking place against Yorkshire Vikings at Chesterfield and Notts Outlaws at The County Ground, the Head of Cricket is looking forward to the rivalries. 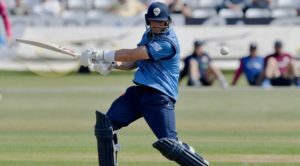 Houghton added: “The rivalry with the inter-city clash with Nottingham is huge and that’s our first home game here and of course Yorkshire at Chesterfield and everybody who supports Derbyshire will remember what happened last year.